It's been a long time since I did a fully fledged album review on here! 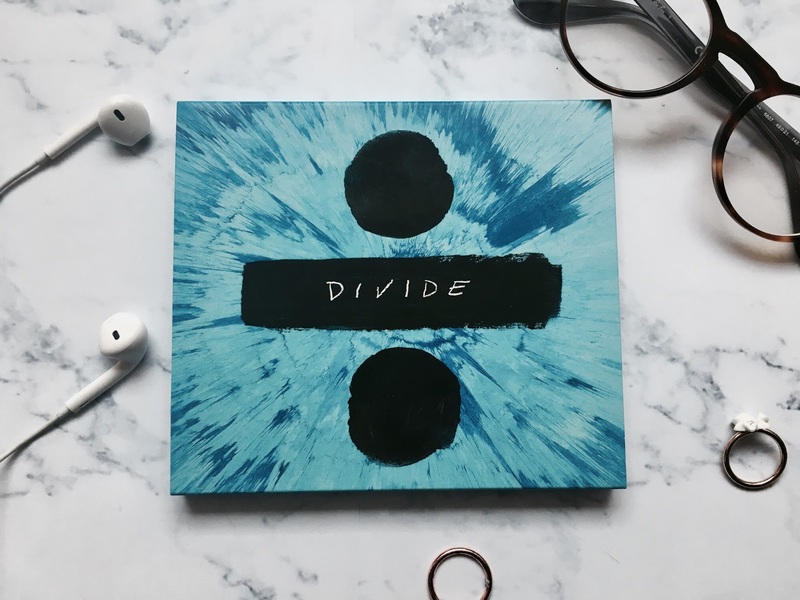 I usually find them a bit boring to write if I'm honest but when I listened to Ed Sheeran's latest release - Divide, I wanted to type endlessly and rave about how good it is. I have loved Ed Sheeran's music since his first album, + in 2011 and have purchased them as soon as they come out ever since. X is one of my favourite albums ever and was so unsure whether he was going to actually be able to release something to better it. But you know what? I think he may have done just that. The album begins with Eraser and this was such a shock for the first track of the album. Not that it's not the perfect opener (it's amazing) but it's also daring, exciting and has his more rap sound to it - remember Take It Back from X? One of my favourites from that album, and this has that similar sound to it, a strong beat and basically rapped verses. It is followed by Castle On A Hill which I'm sure you already know. It's a complete contrast to Eraser, showing how versatile Ed's music is. 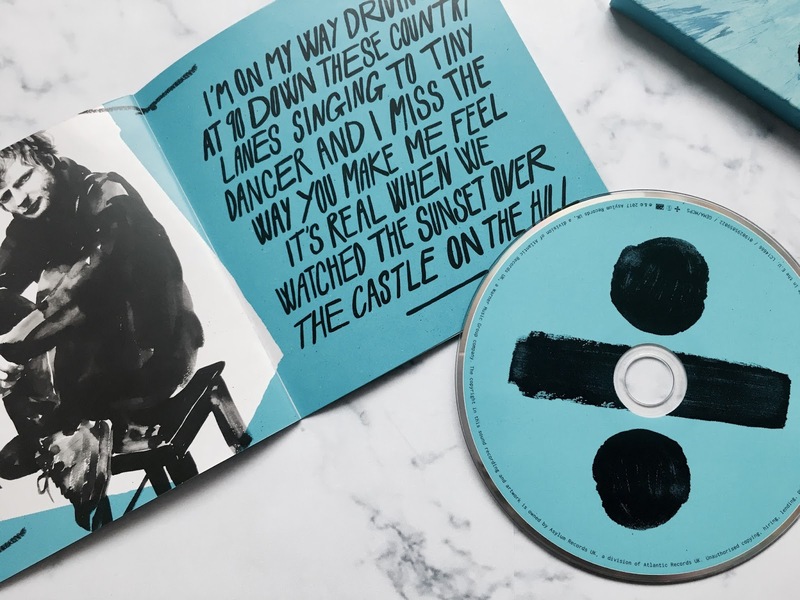 Shape Of You is still one of my favourites on the album - that track is still number one as I write this. How many weeks has it been now? It's catchy, infectious and I am so happy it's been such a hit, it really deserves to. Shape of You is sandwiched between what I like to think of as two of Ed Sheeran's classic love songs, Dive and Perfect. Dive is sung to an acoustic guitar and a strong beat and is so chilled. Perfect's lyrics are well, 'perfect', for lack of a better word. It's the Thinking Out Loud of Divide, you may think (Ed even thinks so himself, as he said on The One Show last week). And then we come to Galway Girl. You know when you get a new album and you want to get to know all the songs but there's just that one that you keep going back to? That's Galway Girl for me. That's the one I quickly go to straight away. It's got a real Irish vibe to it which makes it quirky and fun. It's full of personality and exactly why I love Ed's music - it's not just classic love songs like Thinking Out Loud which some people seem to presume, but he also produces amazing tunes like this. Galway Girl is followed by Happier. If I'm honest, Happier is my least listened to so far. It's beautiful yes, but it's not the type I can just sit and listen to because it's a little on the boring side. Which is why it is so cleverly followed by New Man. New Man has a similar story to Happier - his ex-girlfriend found a new guy who she prefers - but it's told in a different way, it's snappier, more fast paced and instantly one of my favourites. Hearts Don't Break Around Here and How Do You Feel (Paean) are two more wonderful Ed Sheeran lovey tunes. How Do You Feel has a beautiful piano accompaniment to it, something I always love, and Hearts Don't Break Around Here is positive and uplifting. What I Know is a good singalong track, challenging the politics of today (love could change the world in a moment, but what do I know?). Then we get to my favourite little part of the album, consisting of Barcelona, Bibia Be Ye Ye and Nancy Mulligan. All of them are upbeat, Barcelona being my favourite of the three, it really makes me want to go and dance around the streets of Barcelona - Ed, you've really sold that city to me! Bibia Be Ye Ye isn't a standout track but it's fun and dancey. Nancy Mulligan is about his grandparents and what is sweeter than that? 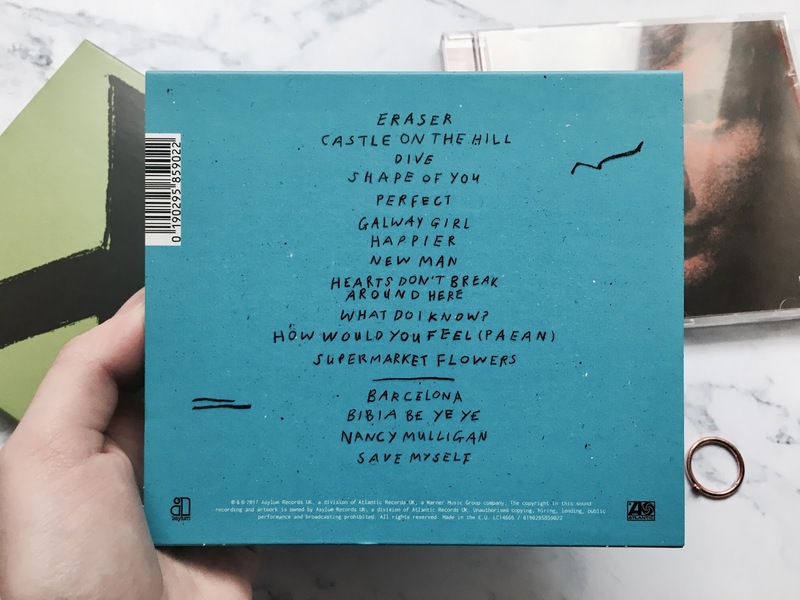 But of course, it's an Ed Sheeran album so there's bound to be a couple of songs on there that will make you tear up a little. These come in the form of 'Supermarket Flowers' and 'Save Myself'. Supermarket Flowers is so sad about his grandmother and it guaranteed to make you feel emotional. Save Myself is so honest about needing to put yourself first sometimes and has such an important message. If I had to choose a favourite... either Barcelona, Galway Girl or Shape Of You! You can tell I love his upbeat songs best, although I do have a soft spot for Supermarket Flowers. Make sure you listen to those in particular, although the whole album is one you need to hear. 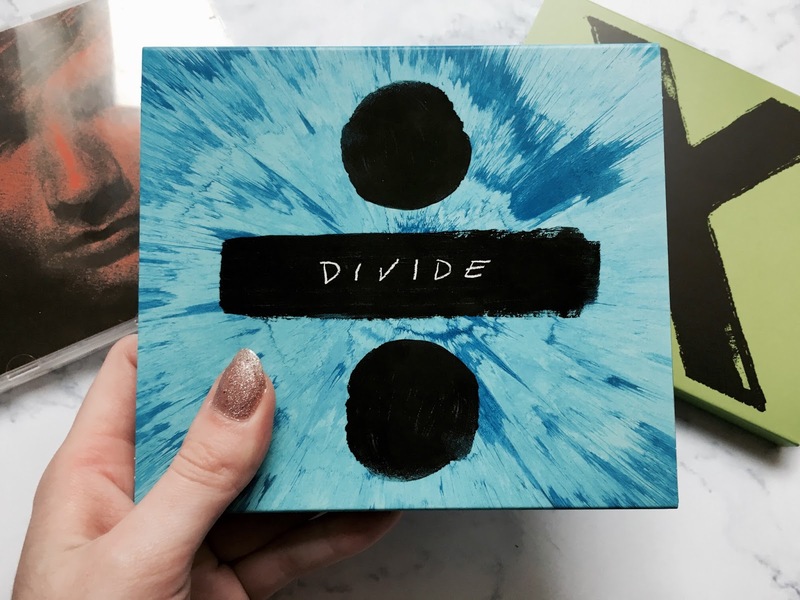 Is Divide his best yet? I have to admit that it is. Good luck topping this one Ed, it's certainly going to be difficult! 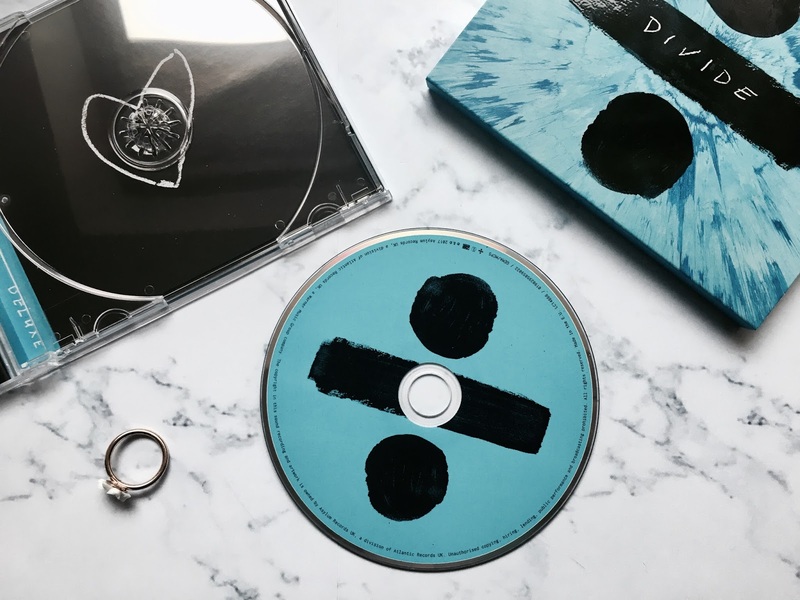 Have you listened to Divide yet? Honestly so offended that you're not a fan of Happier, it's such a touching song. In al seriousness though, I'm a pretty big fan of all of them. I've loved him ever since my cousin introduced me to Lego House when it first came out, and I've seen him live twice. God, I love him so much. I was scared that this wouldn't live up to expectations, and at first it didn't, but I've gotten used to the new style and I love it so much. 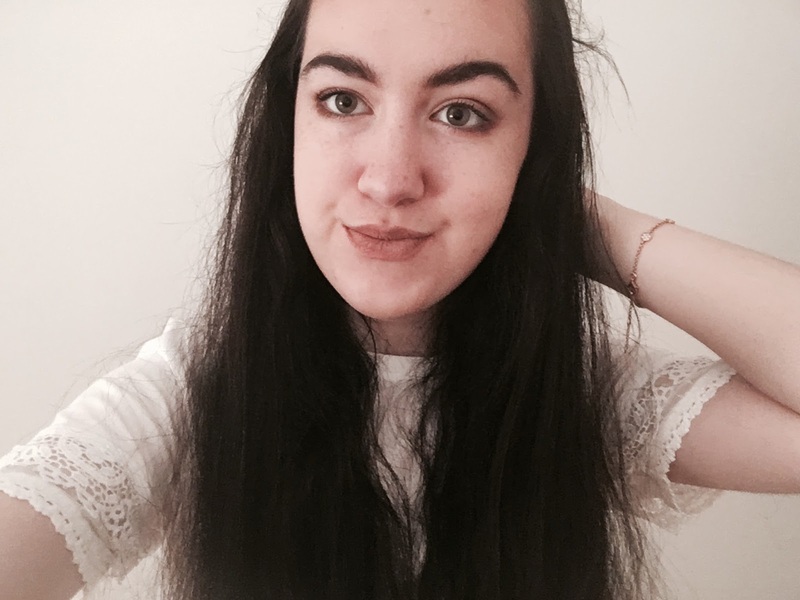 Some of my favourites are definitely Galway Girl, Eraser, Nancy Mulligan and What Do I Know, but most of all I love Save Myself and Supermarket Flowers (although I can't listen to them in public, they make me cry so much). I just love them all so much! 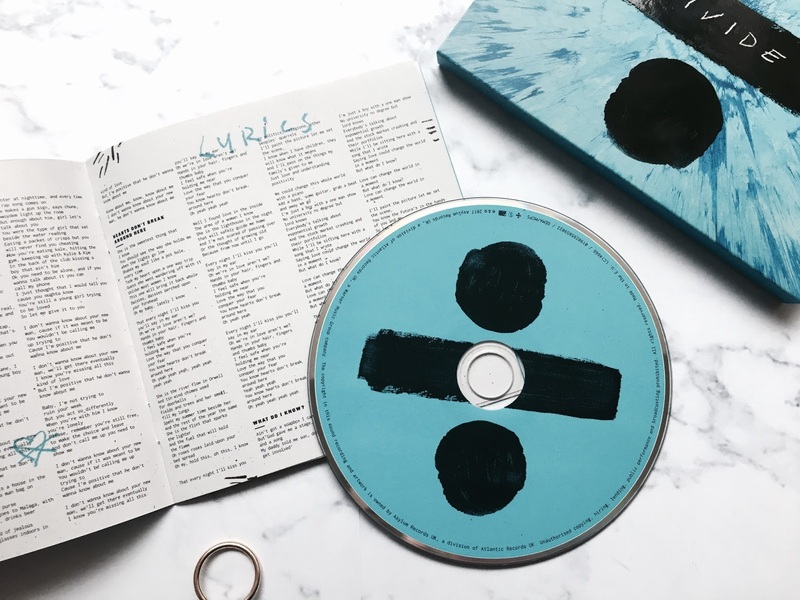 I have not listened to Divide yet, though it is something I need to do! Shape of you is such a good song! I love this album so much, it's been on repeat in the car since it came out (I feel sorry for everyone while I'm stuck in traffic having to listen to my muffled singing along through the windows hahaha). I think Galway Girl is my favourite, it's so catchy and up beat. But I love Supermarket Flowers too!